Franz Kafka Museum in Prague, Czech Republic. 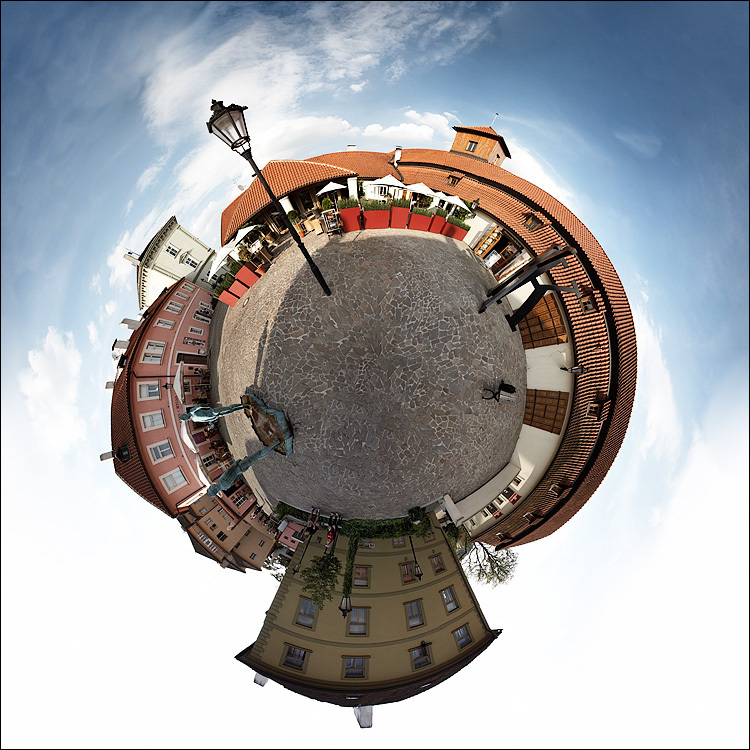 I have a post about how to create little planet images and links to references here. You can see the interactive version of this panorama here (using shockwave plugin for your browser) where you can drag your mouse move around the panorama. Use the left-click+drag to move and right-click+drag to zoom in/out. The original panorama image can be seen here, which was made with Photoshop CS3's Photomerge.